These are the actual official words of Finland’s tourism board in 2016 and I have to say… they aren’t entirely wrong. Helsinki in winter is rough, significantly colder than my previous forays into Nordic winter travel when I visited Stockholm in the winter. And winter in Helsinki was dramatically colder, wetter, and darker than Tallinn, where I had just come from via ferry. 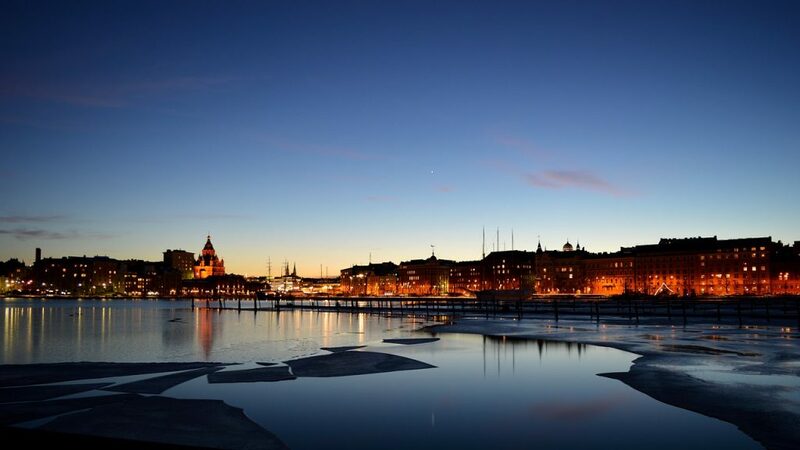 However, Helsinki residents are hardly fazed by the rough winters, and the city goes about business as usual even on the darkest and iciest days of the year. Plus, there are plenty of lovely indoor things to do in Helsinki (and some cool sights worth braving the cold temperatures for) so you’ll be able to escape the cold periodically. The best tip I have for surviving Helsinki in winter is to make like a Finn and drink all the coffee and take all the saunas. There’s a reason that Finnish people drink the most coffee per capita in the world, and that reason is winter. 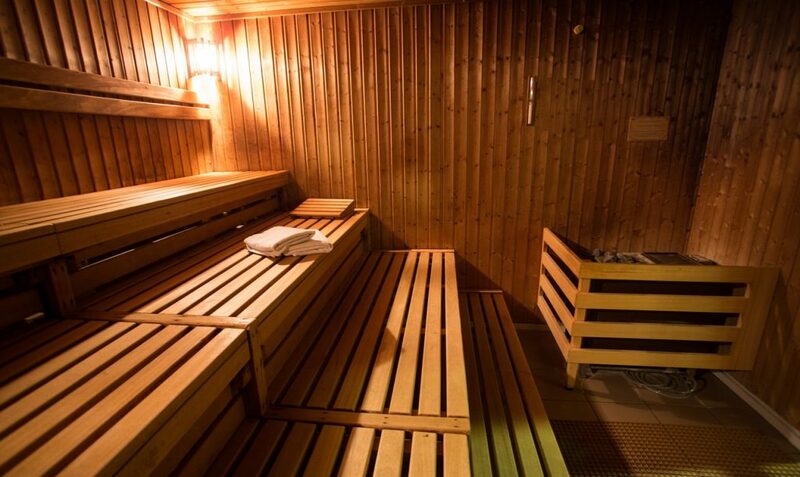 Also, there are more saunas than cars in Finland – yes, seriously. There are 2 saunas for every 5 Finns, so yea, this is definitely a country that takes its saunas seriously! 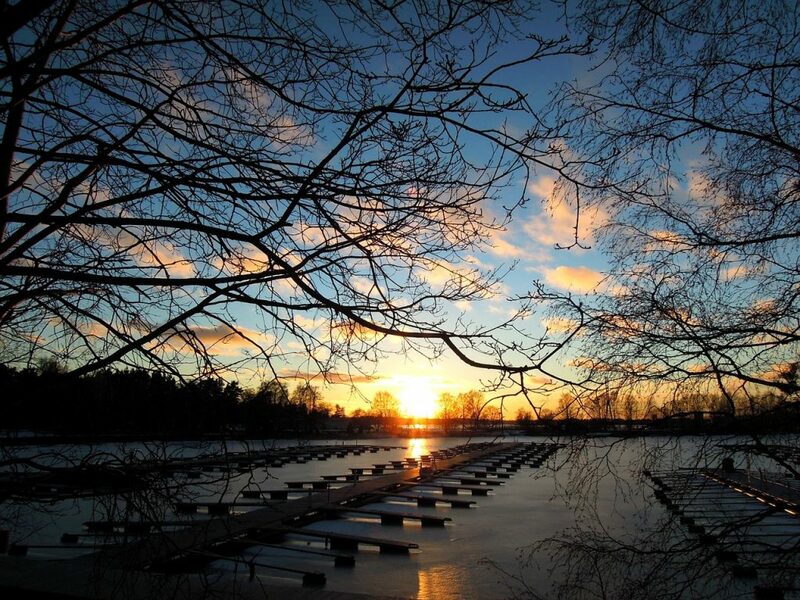 Without further ado, here are my tips for surviving – and even enjoying – Helsinki in winter. Like many countries in Europe, Finland has joined in on the Christmas market fever. Unfortunately for me, however, I just happened to miss out on it arriving in the last week of November. You see, I attended the opening night of the Christmas market in Tallinn the week before, so I assumed mayyyybe I’d be able to see the Helsinki market when I arrived there later that week. Nope – no dice. 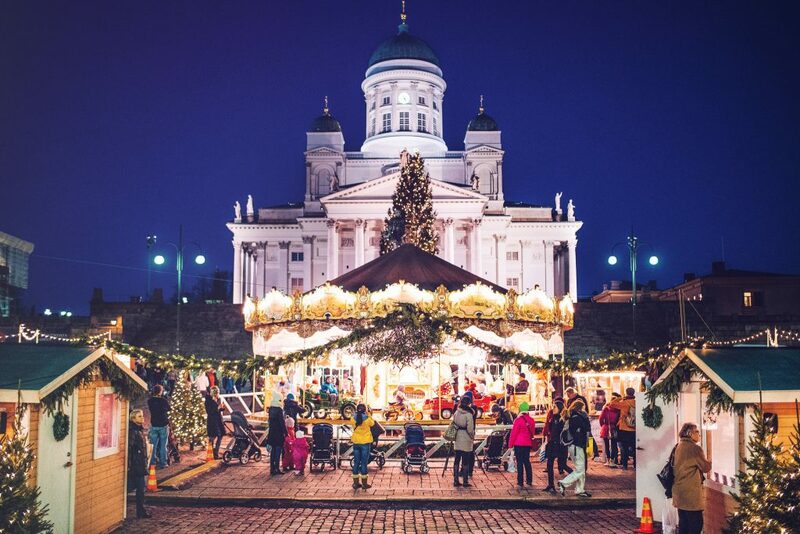 The Helsinki Christmas market has one of the shorter running periods, open only from December 1st to December 22nd. 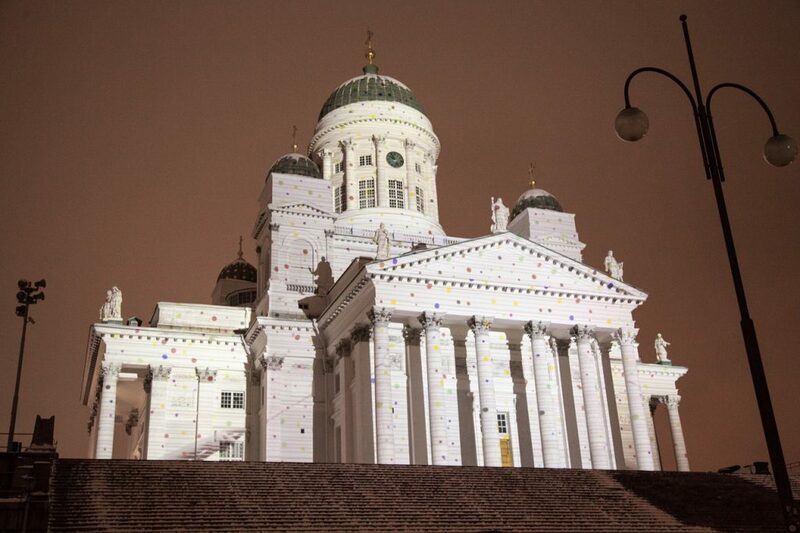 Still, if you happen to be in Helsinki in December, this is one of the top things to do! Considered one of the oldest events of its kind in Finland, the Christmas Market starts on December 1st, a day known as Little Christmas in Finland. This is the perfect time to go shopping for unique trinkets and handmade goods, as well as traditional Christmas-y foods and drink – especially hot mulled wine, called glögi in Finnish. Winter in Finland is not kind and because of this, Finns clearly love having something to celebrate in the winter — hence all the Christmas cheer and love for their Christmas markets, should you happen to be there on time for one! While Helsinki is f*#(ing freezing in the winter and I’m sure you want nothing more than to bury yourself inside a museum or a coffee shop, I can’t recommend that you go to Helsinki – in winter or otherwise – and not visit Suomenlinna. 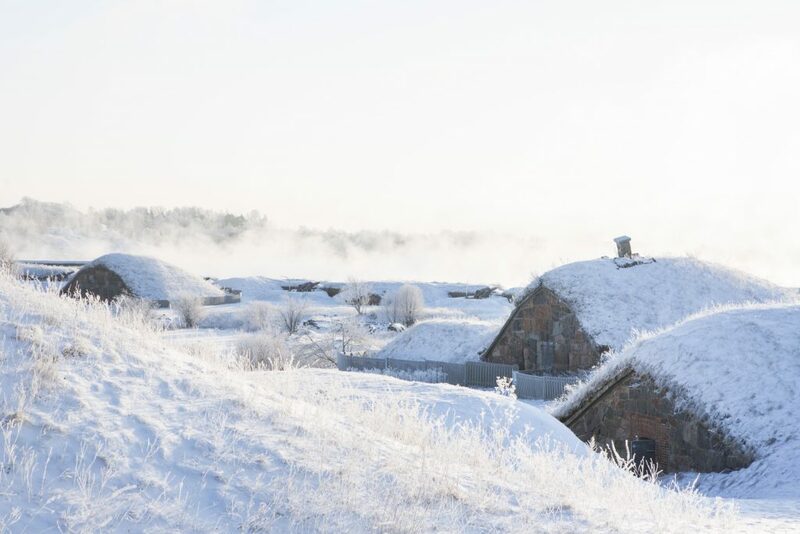 Finnish history is marked with conflict and brutal survival against the odds, and this UNESCO World Heritage Site is proof of it. This historic sea fortress was used since the mid-18th century and was one of the key assets against many invasions in the past. Composed of 6 linked islands, the fortress combines manmade defensive walls and artillery with the natural formations of the islands to create a defensive wall protecting Helsinki from would-be invaders. If it’s not too cold out, you can enjoy the walking trails that connect the park areas between King’s Gate Drawbridge and other interesting sights. If you need to warm up, you can hop into the Suomenlinna Museum or check out Submarine Vesikko, where you can get inside a restored submarine from the 1930s. But if you really really need to warm up, hit up the Suomenlinna brewery right next to the ferry terminal, where some dozen or so beers are on tap. 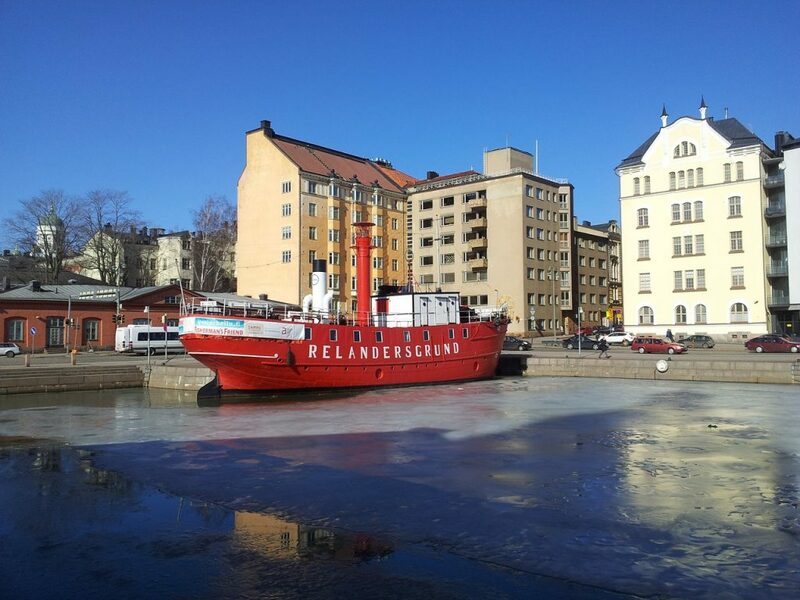 Suomenlinna is very easily accessible, even in winter, with regular ferries from Market Square. Be sure to give yourself at least a few hours, if not half a day, to explore this UNESCO site. Helsinki is beloved for its design and one of my favorite examples of design in the city is Helsinki Cathedral, an excellent example of Neoclassical architecture in the city. Interestingly, while the word cathedral makes most think of Catholics or Eastern Orthodox, Helsinki’s Cathedral is actually part of the Finnish Evangelical Lutheran sect. Constructed by the famous German architect Carl Ludvig Engel, it’s an essential part of the Helsinki skyline. Even though it has changed names a few times since it was built in the mid-19th century, it has become a defining symbol of the city. Relevant to winter travelers, the Helsinki Cathedral is interesting to see at night (which feels likely basically all day in winter) as it is often lit up with interesting displays during the Lux Festival in January and makes a fine subject for night photography. Going to a Finnish sauna is a very special thing to do and clearly, if you go to the trouble of visiting Helsinki in the winter, you should at least get to enjoy this traditional piece of Finnish culture. I stayed in an Airbnb which I shared with my host and her husband and they invited me to join them at their local sauna which was a great experience. 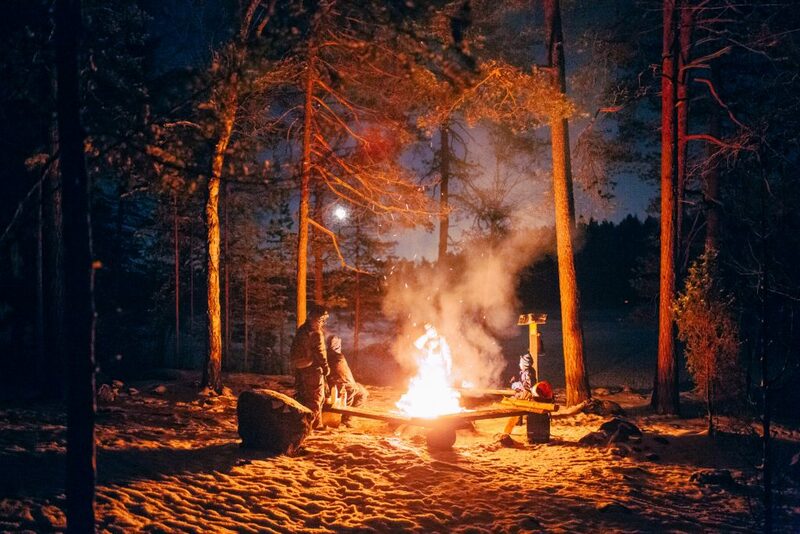 However, if you are staying in a hotel or hostel that doesn’t have a sauna, or don’t have a local Finnish friend or host who can bring you to their sauna, you’ll want to find a public sauna you can visit. 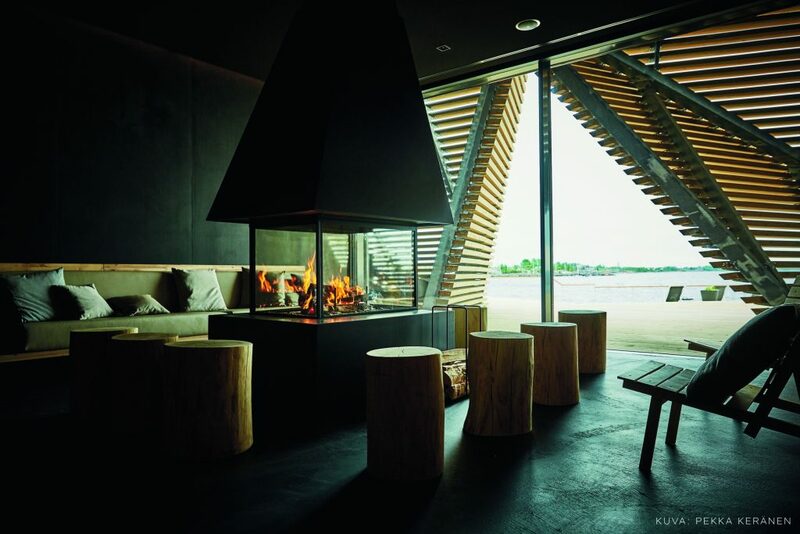 I haven’t personally visited Löyly, a new sauna and health center in the heart of Helsinki, but if I were to go back to Helsinki in winter without Finnish guidance I would surely indulge in a day here. The sauna is public, with separate locker rooms and showers but a shared sauna room (mixed gender) – therefore, bring appropriate swimwear. A two-hour sauna session costs 19 euro and includes a towel, seat cover, soap, and shampoo. It is recommended to book in advance online; however, walk-ins are available if there are spare lockers. One of the good things about visiting Helsinki in winter is that it is easy to catch both sunrise and sunset on the same day, offering ample photography opportunities without insanely early wake-up calls. In December, sunrise is roughly between 9 AM and 9:30 and sun sets around 3:15 PM. Therefore, it’s actually reasonable to catch sunrise and sunset, and if you are at all able to I suggest doing so as you’ll want to maximize your sunlight hours or risk getting your Circadian rhythms totally out of whack as I did. 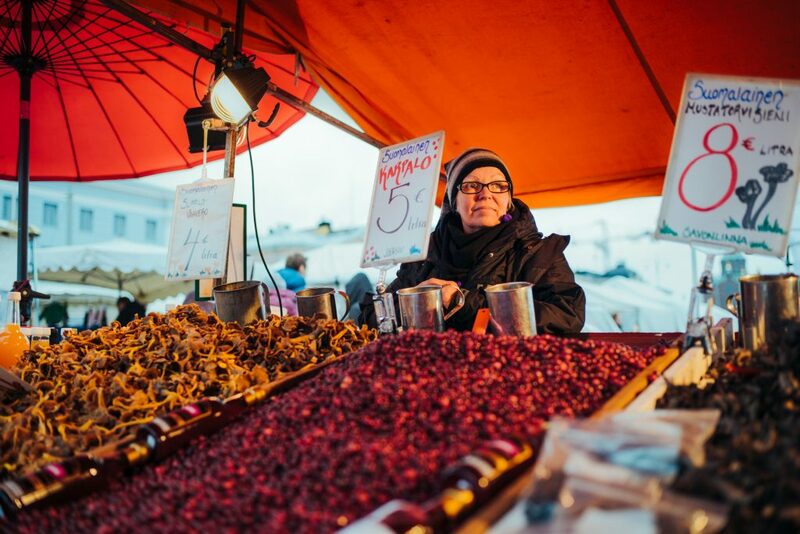 While you don’t want to be outside for too long in the Helsinki cold, Market Square is certainly worth braving for a short visit, even on the darkest and coldest of days. Whether you visit independently or as part of a guided city tour, it’s worth a visit for its history and atmosphere. Market Square in Helsinki has been an important trade center for centuries and is still the heart of life in Helsinki’s center. In winter, you’ll see far fewer outdoor vendors than in summer, but there are still enough stalls to stroll around and peruse (and, of course, some coffee to buy to keep those hands warm while you browse!). Still, more people visit the market hall (below) in the winter because it’s freezing out. The Old Market Hall has been around since the last years of the 19th century, but it’s been renovated very recently to renew its splendor. It’s conveniently located very close to Market Square, and it’s a place to find some of the finest Finnish gourmet items. There are numerous vendors for all sorts of freshly caught fish from the Baltic Sea, Finnish soups to warm you up from the cold, as well as imported fruit and vegetables. There are also unique and unusual items for sale, such as moose meat and reindeer gloves, that have a distinctly Finnish feel! Over the last few decades, design has become synonymous with Scandinavian and Nordic countries, and Helsinki is no exception to this rule. Aesthetics are simply big in Helsinki and so it follows that there would be a museum dedicated to Helsinki’s crush on design. And it makes sense. Just like Danes love their hygge, Finns also have to be indoors for a large portion of their winter so they might as well be indoors in a delightfully cozy and aesthetically pleasing environment. This museum is one of the most unique ones in Helsinki, mostly because of its strange and wonderful collection of hundred thousand photographs and tens of thousands of items and drawings. 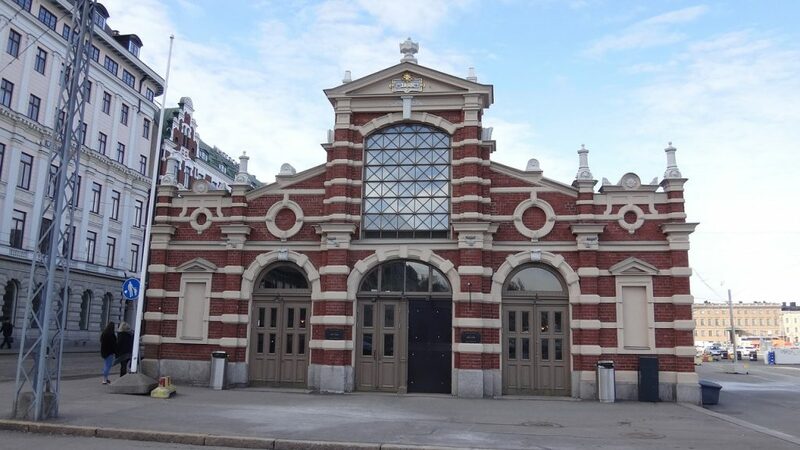 The building was constructed in the late 19th century by architect Gustaf Nystrof to be a study collection for arts and crafts, but in the late 20th century, it transitioned into a full-fledged design museum. Helpful Tip: Planning on visiting several museums and attractions in Helsinki? They’ll add up quickly, so I recommend using a Helsinki Card to save money and encourage you to sightsee more. 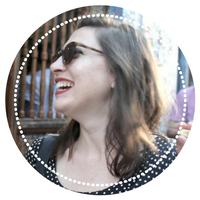 By spending the money in advance and having it as a sunk cost, you’ll be less likely to skip worthwhile sights in order to pinch a few pennies, which will improve the quality of your time. This card includes a free sightseeing bus worth €32 – great on cold days – plus free entry to the city’s major museums and sights. It also includes free public transportation and discounts on restaurants, shops, and additional tours. You can buy it in 24, 48, or 72 hour increments. 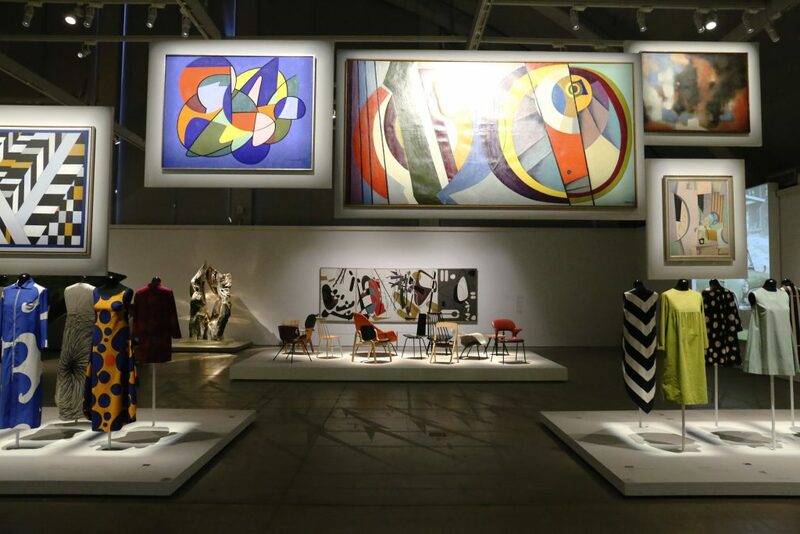 You could say that the Helsinki Art Museum (HAM) is one of the largest in the world, because HAM calls itself a “museum the size of Helsinki.” With nearly half of its 9,000-piece collection spread throughout the city in key locations, that is a fair claim to make! Possibly one of the most unconventional museums in the world, HAM doesn’t have a singular dedicated building. That’s because its works are proudly displayed all over the city, with the idea that the people actually own the works. With literally thousands of works displayed across parks, offices, streets, libraries, and more, this museum presents Finnish art both in and outside of the museum walls. While you definitely could technically “see” the Helsinki Art Museum without ever stepping into its walls, the central building is definitely worth a visit and the 12 euro admission charge, especially if it means getting warm! One of the best things about Helsinki is how close to nature the city is – not only is it right on the Baltic Sea, but it is close to a stunning national park as well as lovely Finnish Lakeland. The gorgeous Nuuksio National Park is located very close to Helsinki, and it’s one of the most ideal places to get a taste of the Finnish snow-covered landscape without straying too far from the city. From Helsinki you can simply catch a regional train to Espoo and then head onto the national park either independently or on a guided tour led by a local naturalist. If you’re especially lucky, you’ll spot the rare Siberian flying squirrel, found only in Finland, Estonia, and of course Siberia. If you want to visit one of the most picturesque towns in Finland, you should add a day trip to Porvoo to your Helsinki winter itinerary. 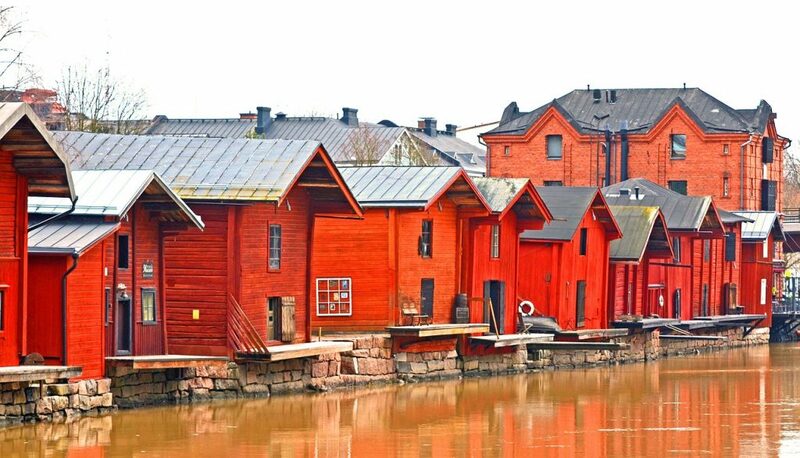 An old and historic town merely 50 kilometers from Helsinki, Porvoo has been inspiration for Finnish artists over the centuries, and when you visit, you’ll see why. 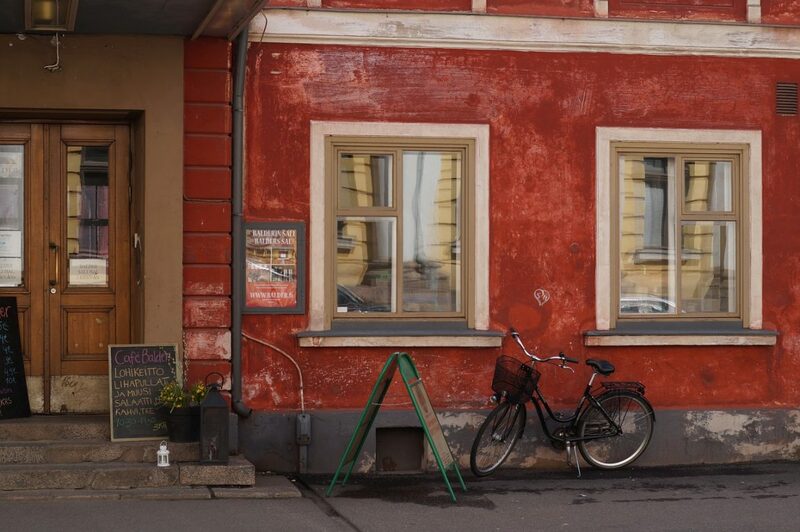 It’s hard to say what’s the most charming about Porvoo: its crooked and peculiar cobbled streets, its lovely red shore houses painted in honor of King Gustav III of Sweden, or the way nature and landscape meld together as if a painting. You can easily visit by public transportation, which costs 5 euro to 9 euro each way when booked in advance online. 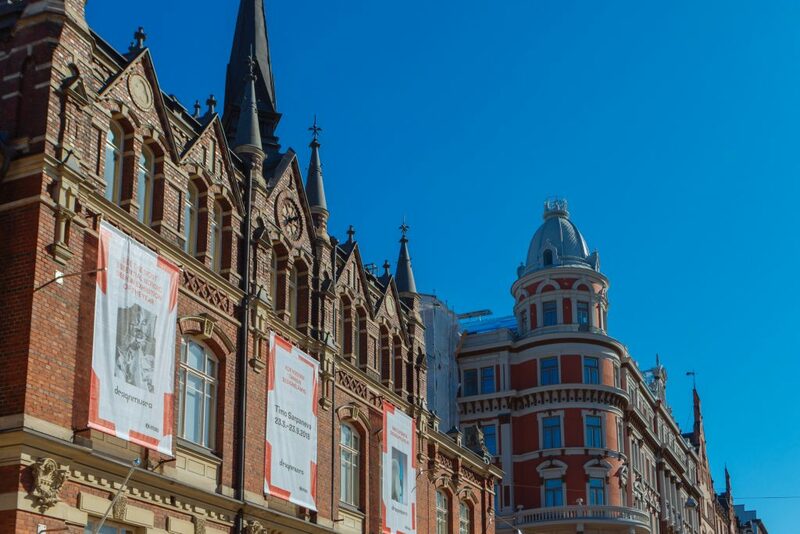 However, you can also take a guided day tour from Helsinki, which may be more convenient for some people who prefer a little more guidance when it comes to understanding the history and top sights of the town. One of the incredible things about Helsinki is that you are just a 2-hour ferry ride from the capital of another amazing country, Estonia. 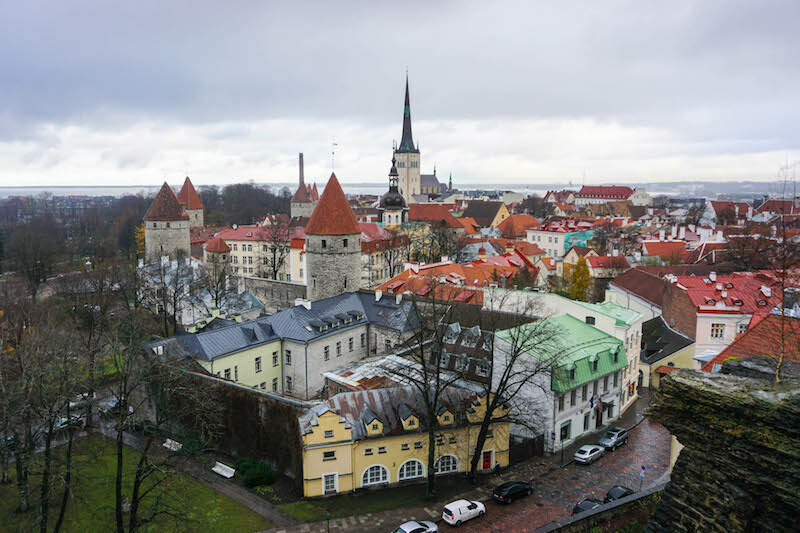 Tallinn has one of the best preserved medieval Old Towns, and so it has a certain charm to it that Helsinki can’t quite replicate – especially when Tallinn is coated in snow. As I mentioned earlier, Tallinn also has earlier Christmas Markets, so if you are a little too early for the Helsinki markets, it can be a good day trip to make! But even if it’s out of Christmas market season, Tallinn is worth visiting for its stunning colorful buildings, its unique sense of preserved history, the interesting museums, and the vibrant street art on the streets of hipstery Kalamaja. Plus – it’s decidedly cheaper than Helsinki (I wouldn’t blame you for bringing some beer back with you over to Finland like the Finns often do!) so it is a great day trip if you are on a budget. The ferry is affordable and runs frequently. You can find the cheapest ferry option here – prices vary from around $20 USD for a round trip to up to $60 USD for a round trip ticket [just a seat, no special cabin or anything], depending on time, ferry line, availability, and how far in advance you’re booking. I’ve written before about things to do in Tallinn as well as a special guide to Tallinn in winter so check those out if you are planning a Tallinn day trip from Helsinki. Do you have any other Helsinki tips to survive the winter? Let me know in the comments!